2010 was a year of incredible transformation for both myself and my wife. We both turned 40 and we both turned our back on cigarettes. Between us we were consuming almost 100 cigarettes a day. I used to struggle to smoke 10 a day and I ended up on 60-a-day. How did that happen? I tried many times to quit. Patches, gums and Zyban. They all worked for while but the hunger, the unscratchable itch, and the need to deal with other things other than the smoking meant that I relapsed into smoking. In 2010 I tried an electronic cigarette and, although it wasn’t the same as smoking, I kept going and never smoked a cigarette again. My wife, the same. We started a business and opened our first retail store in 2012. We were nervous about taking on the rates and rent and unsure whether we’d be successful or not. My wife reminded me that we were doing it to help people to move away from tobacco and ‘as long as we cover the costs, we can continue’. She was right. 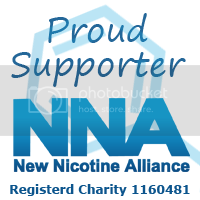 It was never about the money, it was always about showing people the alternatives to smoking tobacco. 4 years on we have 11 stores across Wales and 1 in Scotland. We are bad business people because it was never about the money, it was always about the helping hand and giving confidence to those that wished to stop and had failed using conventional methods, like me. The attempt to remove freedom of choice for Vapers, tobacco users and business owners is something we need to stand together on. We are the people and the politicians are there to serve us.